I still on my blue and white obsession right now! It is one of my favorite combos. We are currently in San Diego getting ready to take our little boy to Sea World. 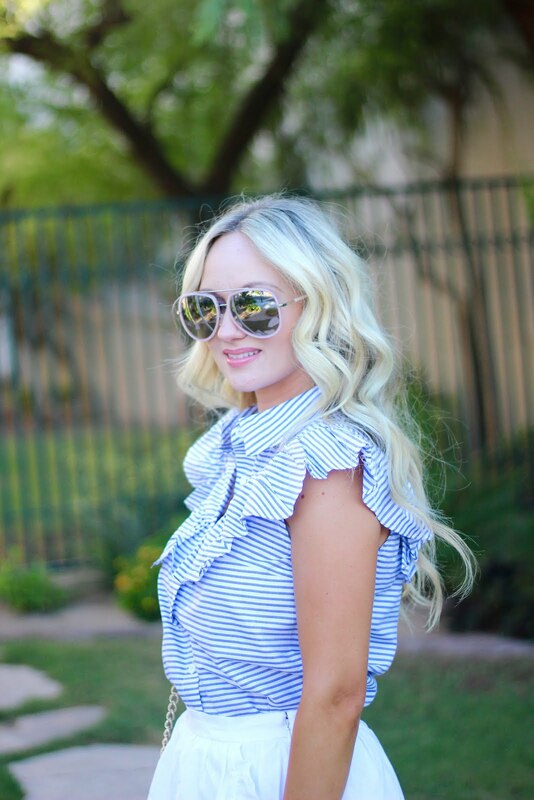 This little ruffle top is another one of my favorites! 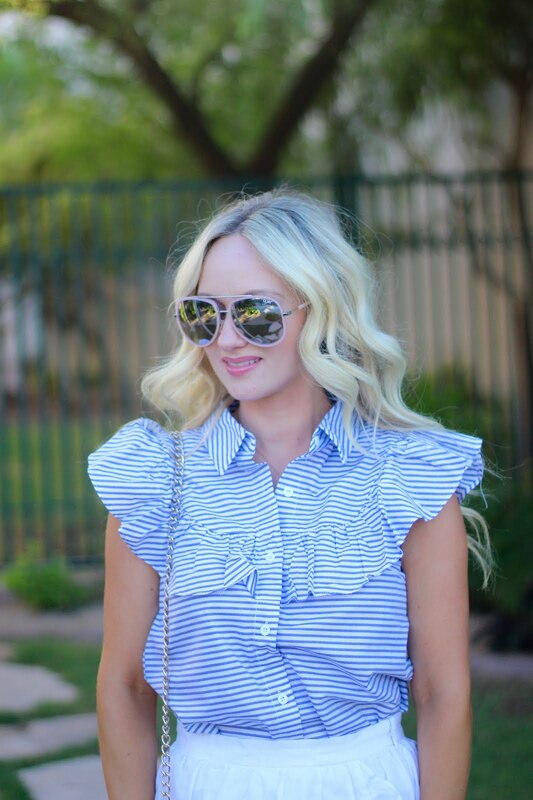 I love the flutter sleeves and the ruffle detailing across the chest. I also love that it is button up. It gives you a couple of different options on how to style it. You can leave it unbuttoned of a basic white tee, or your can even knot it in the front. Unfortunately, it is sold out, but I linked two above that are almost identical. Both under $15! Hope your having a wonderful Tuesday!